How Do I Set up a Trust in Virginia? You can find Virginia's Uniform Trust Code in Title 55, Chapter 31 of the state statutes. The code gives guidance for how a settlor or grantor -- a trust creator -- can set up a trust acceptable to state law. For example, Virginia requires all trusts have a stated purpose; this purpose must be legal, possible and not contrary to public policy. Living trusts must be set up for the advantage of the beneficiaries, though a settlor can make himself a beneficiary. Select a beneficiary. A Virginia trust must have some designated individual as a beneficiary unless it falls into one of the legal exceptions, such as a charitable trust or a trust set up to care for a pet. Although you can make yourself the beneficiary, you cannot be both the sole beneficiary and the sole trustee of the living trust. Check that your trust's purpose will hold up in court. A trust instrument stating that the beneficiary must divorce his wife to inherit money would be contrary to public policy, for instance. A requirement the beneficiary stay single might be acceptable if it were for a limited time, such as while she's in college. A trust that's used for an illegal purpose, such as defrauding creditors, won't be acceptable to the state either. A trust set up to manage property on behalf of a beneficiary cannot last longer than 21 years. Draft a trust instrument. The instrument is a document that specifies the terms and purpose of the trust; identifies the trustee and any successor trustees; and lists the duties of the trustee. A trustee must have some duties or the trust doesn't meet Virginia requirements. 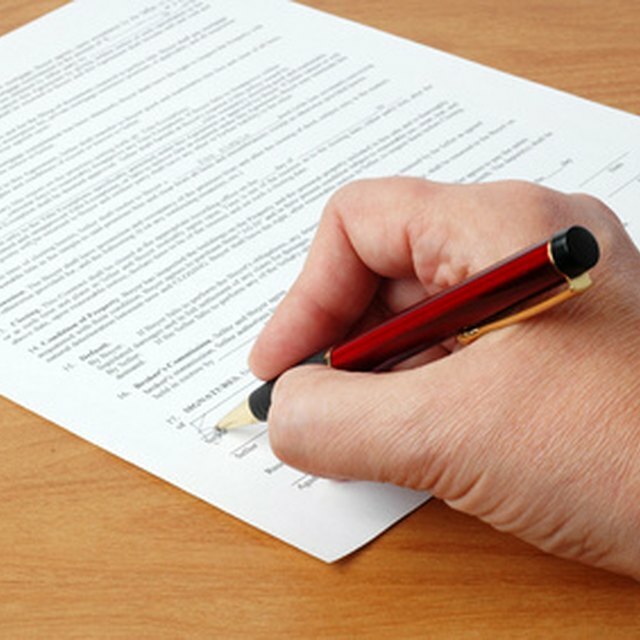 Once you've drawn up the instrument, you must have your signature on the document notarized. Transfer title to your property from yourself to the appointed trustee. Even if you're the trustee you must transfer title to real estate, for example, from yourself as owner to yourself as trustee. The declaration that you now hold property as trustee, or the transfer to someone else serving as trustee, is one of the Virginia requirements for creating a living trust.